NEW YORK (AP) -- Encouraging news about manufacturing overseas sent the U.S. stock market higher, breaking a six-day losing streak. The Dow Jones industrial average rose 48 points, or 0.3 percent, to 14,946 as of noon Thursday. 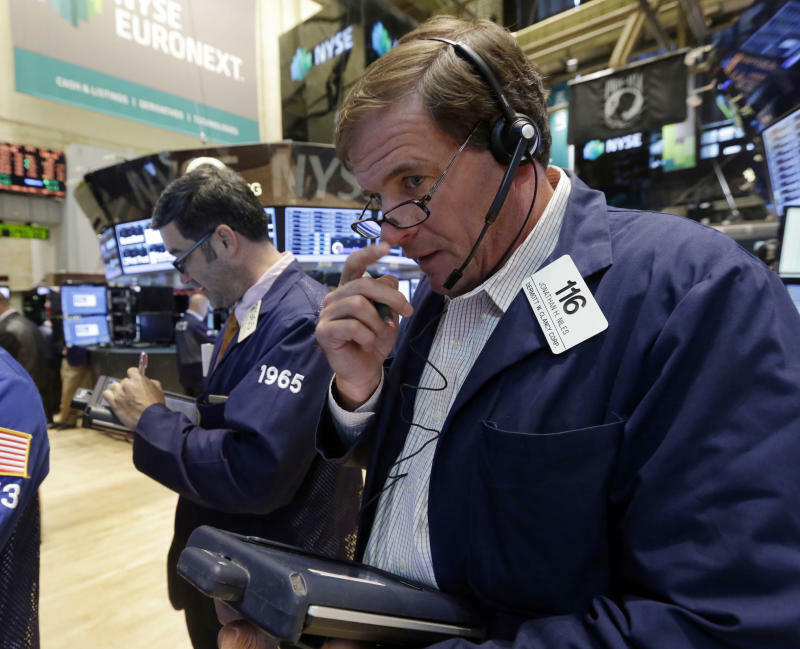 The broader Standard & Poor's 500 index climbed 11 points, or 0.7 percent, to 1,653. The Nasdaq composite gained 33 points, or 0.9 percent, to 3,633. China's manufacturing stabilized in August, and in Europe, a report showed that the manufacturing and service sectors are improving. Stocks of U.S. retail chains are falling after more weak sales reports. Abercrombie & Fitch plunged $8.50, or 18 percent, to $38.30. Hewlett-Packard fell $3.20, or 13 percent, to $22.18 after the company reported poor demand for personal computers. The yield on the 10-year Treasury note rose to 2.91 percent.